I was one of the many Pinoy fans eager to watch the most awaited sequel of One More Chance. :) A few friends were quite surprised because they know me as someone who doesn't often watch Filipino movies, as I prefer much of my Korean drama flix :p.
I've encountered so many reviews online and offline. One thing I can say, I love the first instalment more. :) Not that I'm saying that I didn't like the movie. I just can't relate with the issues dealt in the current movie. Blame it on me, being naive about the issues and concerns of married life. On a positive note, hands down to Bea and John Lloyd's excellent portrayal of their roles! While most of the reviews focused about issues on married life, there was one scene and character that will make me forever remember this movie. The Php 200 I paid was compensated by one of the supporting actors. 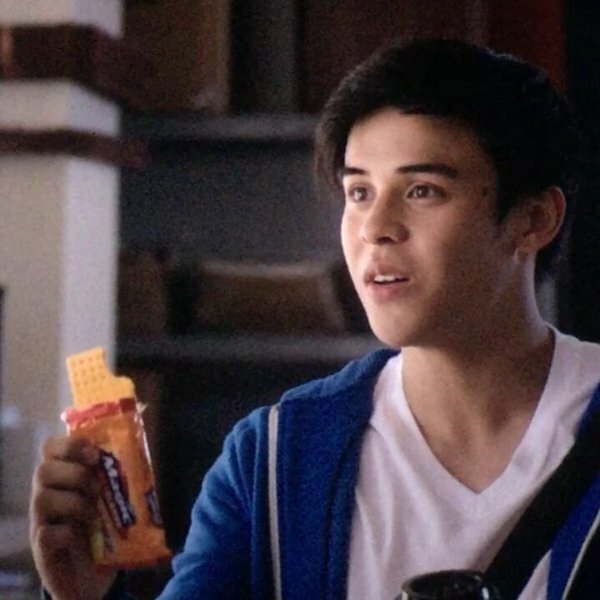 Khalil Ramos, who is now becoming to be known as the Magic Flakes Guy, portrays the role of Noel. Noel is a junior engineer in Popoy and Basha's engineering firm. He was initially introduced as the weakest and innocent newbie at the workplace. He often commits mistakes and gets reprimanded. Like a typical fresh college graduate, he was trying to fit in and find his place in the company. When a crisis hit the firm, all seasoned employees left. It was the most rational decision to make, no one wants to say in a losing company. Much to my surprise, Noel was the lone employee who stayed. Truth to be told, some plot experts can probably say that Noel's role can be eliminated in the movie. The plot can survive without him. I confess, I initially agreed. However, the one that sealed my attachment with the movie was the personal encounter of Popoy and Noel. Following the aftermath of everyone's resignation, Noel was rushing to report for work. He arrived seeing his superior, Popoy, checking the final copy of his research assignment. Popoy was surprised that Noel continued the research, despite the difficulties encountered by the company. Noel's response was typical of most rank and file employees. Apologetic, shy and uneasy. Popoy later asked Noel why he decided to stay. There are better opportunities in larger engineering firms. Why stay in a team of losers? Noel's response was priceless. It brought painful pinches in my heart. It gave me tears. Noel said that he believes in the advocacies of the company. He believed in their ideals and the output of the pending research. The statement that nailed everything was when Noel said, Sir, I want to be there when this happens. F*^k, I screwed up. Much of Noel was me. I don't want to detail how it works, but Noel captured my often silent and unsaid sentiments. I used to believe that I'm a huge and stupid mess. Call it envy but it didn't help whenever I see classmates, friends and colleagues having better lives, because they chose to move on. While me, I'm starting to feel that work has been eating me up. I'm losing the best of myself. Noel's role made me feel that I still have a little pride and dignity left. While everything remains still uncertain for me, I guess it's enough for me to know that there is still a little something to be proud of myself. A few days after this post, I talked to a few friends who also watched the movie. I thought I was the only person affected by Noel's character. Turns out, most rank and file employees were moved by Noel. And with that, we are starting to declare Khalil Ramos as the epitome of all silent, grieving and hard working rank and file employees. Thank you for representing us Khalil! Thank you for reminding us that there is still something good left about us. This is so far different review that you have on a different perspective. Not everyone will see what a small role is that have a big impact to the story. Nice! I haven't watch it yet haist. Hindi naman mutually exclusive ang Pinoy movies at Korean dramas. I surf the Korean wave too--first wave nga lang, wala na akong panahon ngayon para mag-drama-marathon. :-o I ship Bea & JLC, as well as Mulder & Scully of The X-Files, and I also like Star Wars.